An experiential brand, carefully and thoughtfully curated dispensary focused on value through nostalgia and discovery. Electric Lettuce is the brand for recreational dispensaries offering a sense of nostalgia to customers through curated collections of products. While store esthetics provide a unique shopping experience, nostalgic, high-value, and branded accessories and apparel fill the needs of a daily smoker and casual dabbler complemented with on-brand products that transport customers to the glory days of grass, reefer, weed & more. Electric Lettuce focuses on loyalty and retention by meeting the customer’s product needs with exceptional knowledge and service. 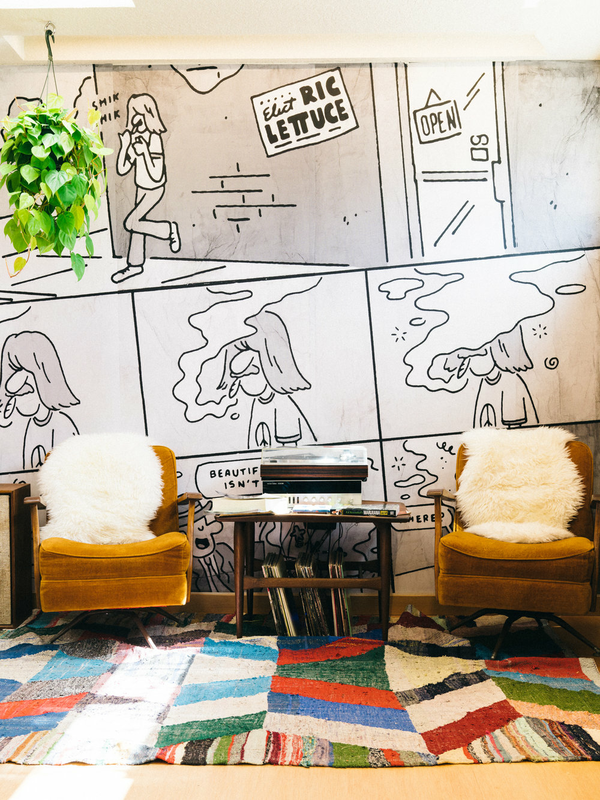 An Electric Lettuce dispensary embraces and combines nostalgia and value through visually designed environments highlighting the history of marijuana use between 1965 and 1971. "THE BEST DESIGNED DISPENSARY IN THE STATE OF OREGON."